Gail grew up in Montreal and Winnipeg. Although always very interested in art, she never dreamt that she could be an artist. She trained and worked as a bacteriologist! In 1987 Gail took a beginners watercolour course in White Rock—just for fun. Smitten with the art buy, she has since taken many courses through the Federation of Canadian Artists. 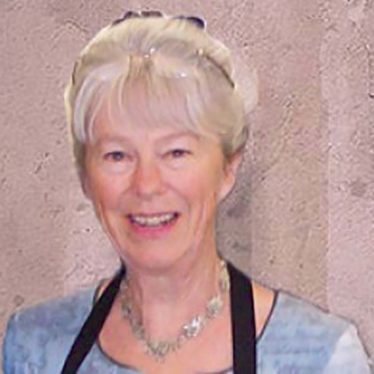 She herself has been teaching courses for the Vernon Community Arts Centre and workshops in other areas since 1994. Gail has also been very active in the arts community in Vernon. She has put considerable time and energy into the Vernon Public Art Gallery, the Vernon Performing Arts Centre, the North Okanagan chapter of the Federation of Canadian Artists, the annual Spring Splash art exhibit and the B.C. Festival of the Arts. Gails loves to paint in watercolour but also enjoys working in acrylic, pen, collage, pastel, mixed media, and occasionally oil. Gail is full of enthusiasm for watercolour, acrylic, and mixed media, and loves to share her passion for art by teaching.